Belle and Jenna. for Winxclubgirl202. 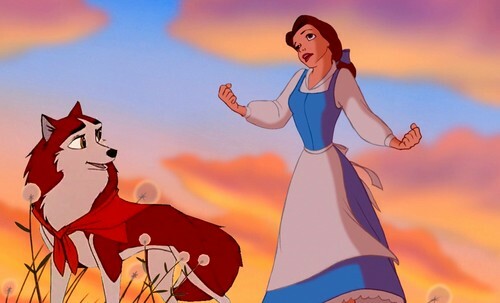 HD Wallpaper and background images in the 디즈니 크로스오버 club tagged: disney crossover disney crossover belle balto jenna. This 디즈니 크로스오버 photo contains 애니메이션, 만화, and 만화책.